A brilliant flexible best selling scope with great all round magnification, big lens, parallax adjust focus and quality mount rings. 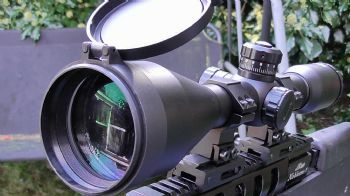 Amazing value parallax scope, ideal for air rifles and .22, includes air rifle base mounts. Not high on price but still high on quality and ideal for airgun and in most cases .22 use.